I hope that you have a fantastic birthday! Papers and tags are from this month's Nook Kit, Times & Seasons! LOVE your card Shellye! And the pop of color with that ribbon is perfect! 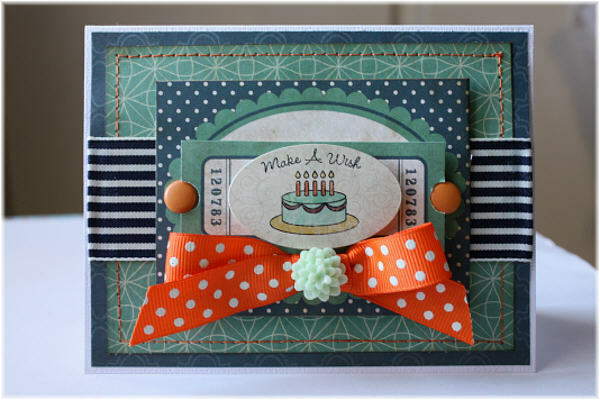 Beautiful card, Shelley! I just love the pop of unspected orange! Happy birhtday to you, Leah! Shellye, your card is adorable. So sweet of all you dt to do this for Leah, I'm sure she's so touched.